Apr 2015 – Bouncebackability Rules. 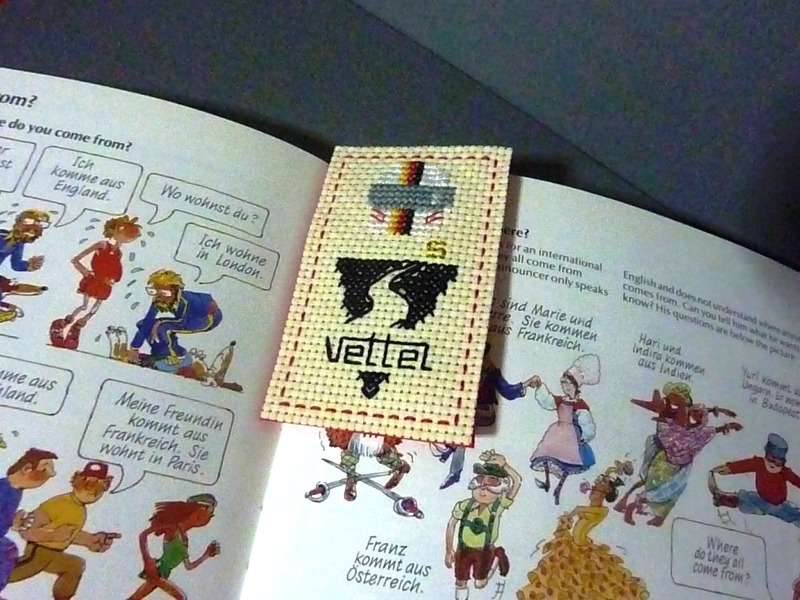 On Schumi Dreams, Vettel, Mick, And The (Racing) Ties That Bind. I’ve always been a vivid dreamer. See, even in my dream I had a semblance of awareness that what I was experiencing at that moment wasn’t real. Even in my dream I “knew” that Schumi couldn’t possibly be a Ferrari driver anymore and that he is currently in no condition to ride a scooter. Even so, in that moment I was happy. So very happy I almost wished that dream wouldn’t end. But of course I had to wake up some time and accept the fact it was all in my subconscious. After Schumi’s life-altering accident, watching F1 has never been quite the same for me. Of course I still immensely enjoy it, but there is now more than a scintilla of sadness when I watch the races. 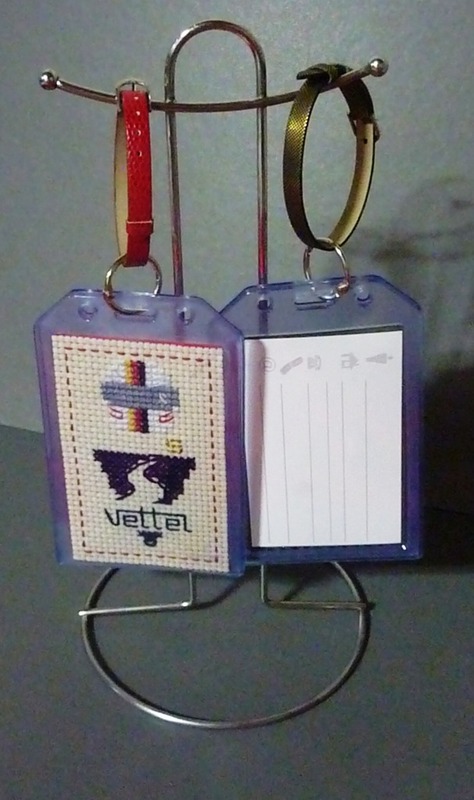 As I have mentioned in my previous posts, Sebastian Vettel’s move to Ferrari this season has, in a way, helped me to deal with the sadness, although conversely, his presence in the team and his similarities with Michael also become a glaring reminder of just how much I miss Schumi. The day after the dream, I saw on Twitter that Vettel has become a patron of the ADAC Formula 4, the motorsport series he competed in as a youngster and the same series that Michael’s son Mick will be participating in this season. Quite fitting. 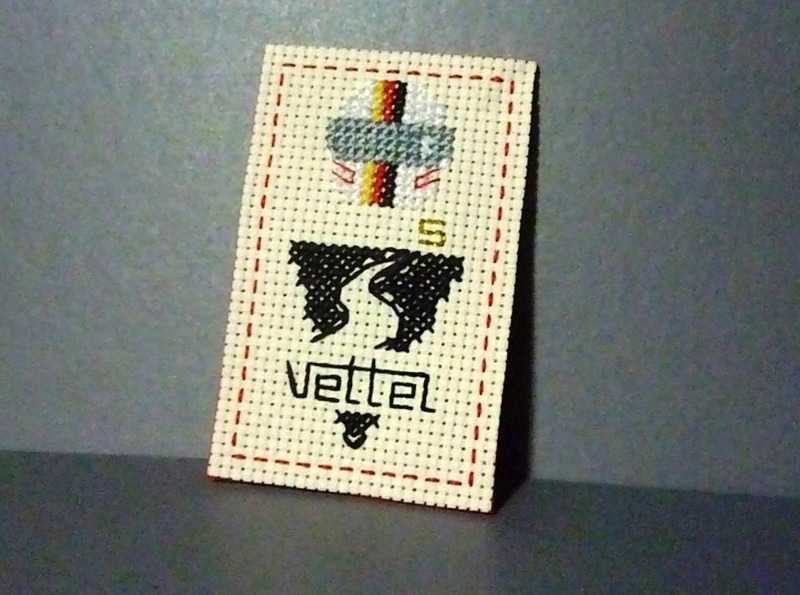 While it may be a practical decision on his part, the sentimental fool in me found it quite a sweet gesture from the German. Michael Schumacher used to be the benchmark for Vettel and his fellow racers back then, and now that he has achieved a big part of his F1 dreams, Vettel is now the one who is giving back to the youngsters who want to follow in his and Schumi’s racing footsteps (or should that be tyre marks?). Vettel himself has admitted that he is missing his mentor Schumacher’s advice when it comes to F1 and beyond. Spare a thought (or two) for young Mick Schumacher who will start a new chapter in his motorsport career finally bearing that surname, but without his father cheering from the sidelines. We can only surmise on how much pressure he is under—if any at all—but sometimes when I look at the Schumacher children I feel an overwhelming sense of protectiveness and I just want to give them both a big hug and tell them to stay strong and that everything will be alright. I hope that Seb extends his help to Mick in whichever way he can, just like what Michael has so unselfishly done with him throughout the years. This weekend, Mick formally started his ADAC Formula 4 adventure and promptly registered his 1st win in the series’ 3rd race. Words just weren’t enough to describe the happiness and pride I felt when I saw the words, “P1 M SCHUMACHER” and Mick standing on the top step of the podium while the German anthem played. This is the start of something amazing. I just know it. To say I’m immeasurably excited for what the future holds for Mick would be an understatement. If we only had live coverage of the F4 races then I’d gladly watch, but for now I can only offer my unequivocal support from this side of the pond. As for my dream, well, I firmly believe that dreams can be a sign of things to come. 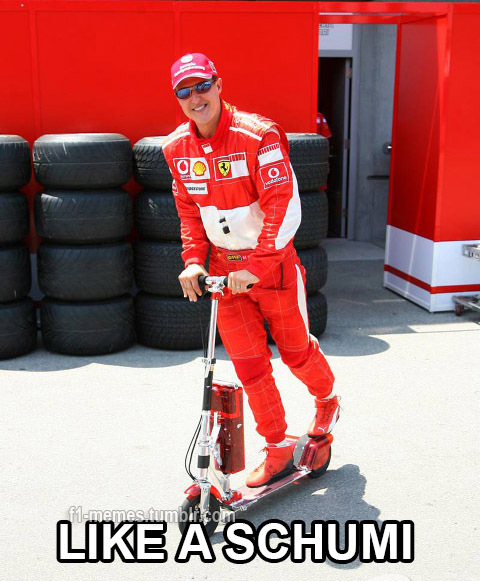 He may not be able to become a Ferrari driver once more but in my heart, there is still hope that we will see Schumi happily riding his scooter yet again. 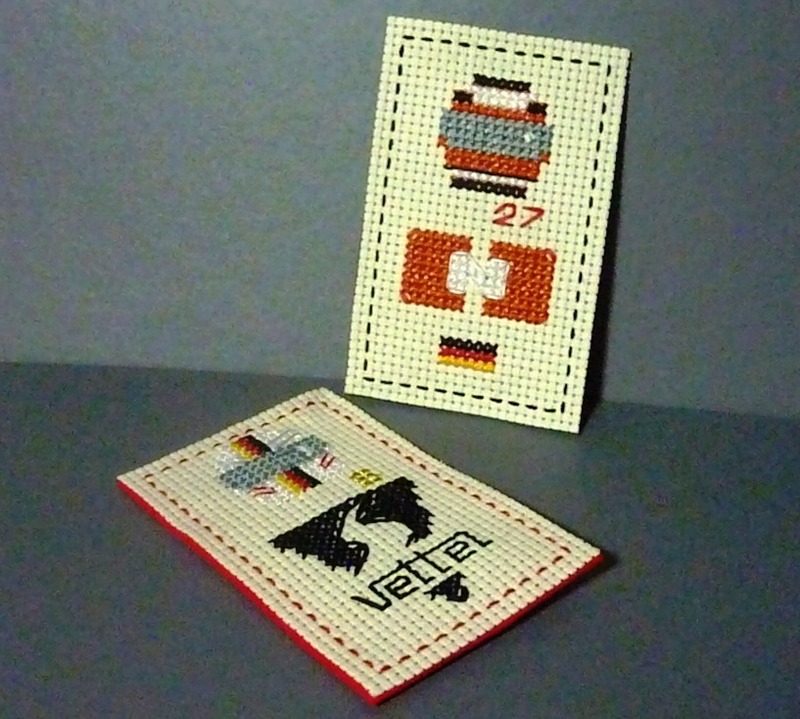 German Power: DIY Sebastian Vettel and Nico Hulkenberg-Themed Cross-Stitched Bookmark/ Pop Art/ Keychain/ Bagtag. That was quite a mouthful. Try saying that ten times in a row. Anyway, my apologies as brevity is not exactly my strong suit. 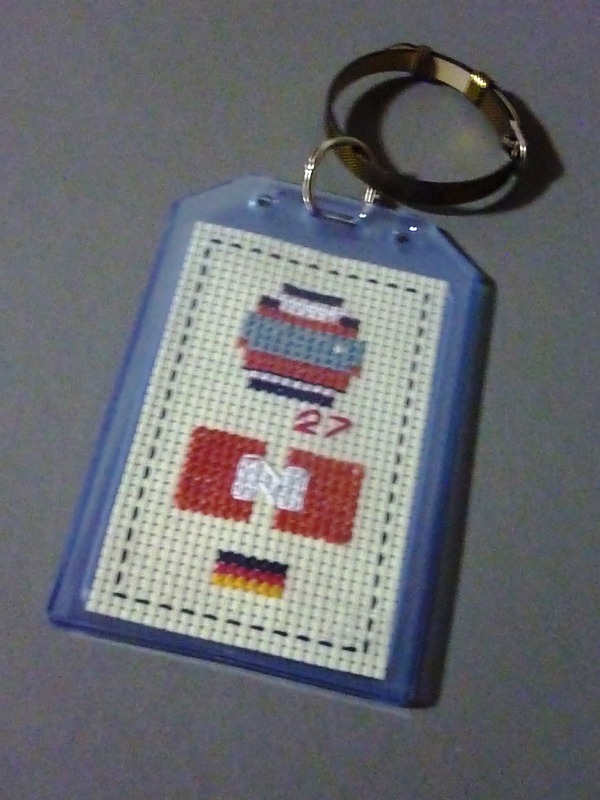 It has been a while since my last F1 crafting project, and this time around I have decided to make something to celebrate two of the German drivers I like (after Michael Schumacher, of course) for their moxie, elephant balls (on the racing track obviously, I can’t vouch for what they have off-track) and general racing awesomeness. 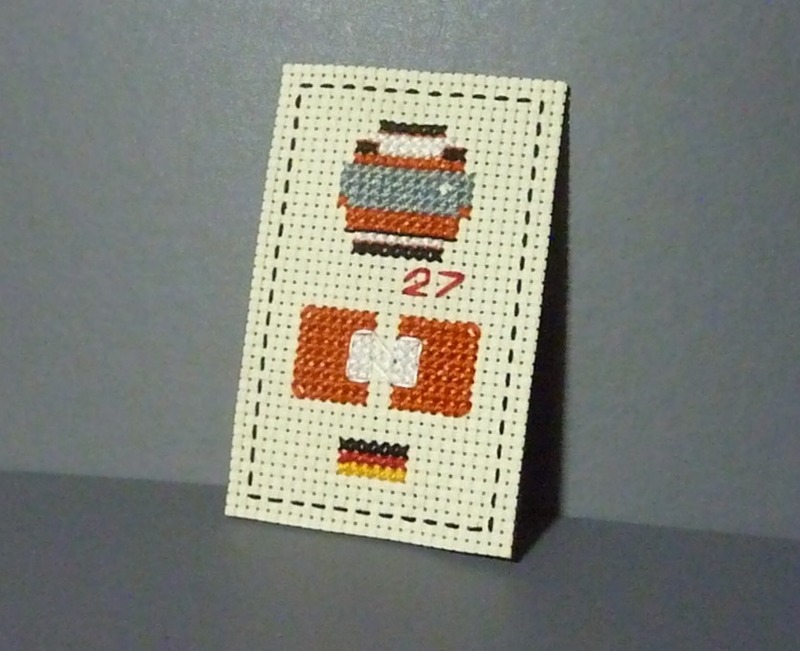 I have more-than-decent drawing skills (I am an architect, after all), but why draw when you can…cross-stitch? Yes, I embrace my Inner Grandma and am darn proud of it! As Pop Art: Display them as they are or frame them. 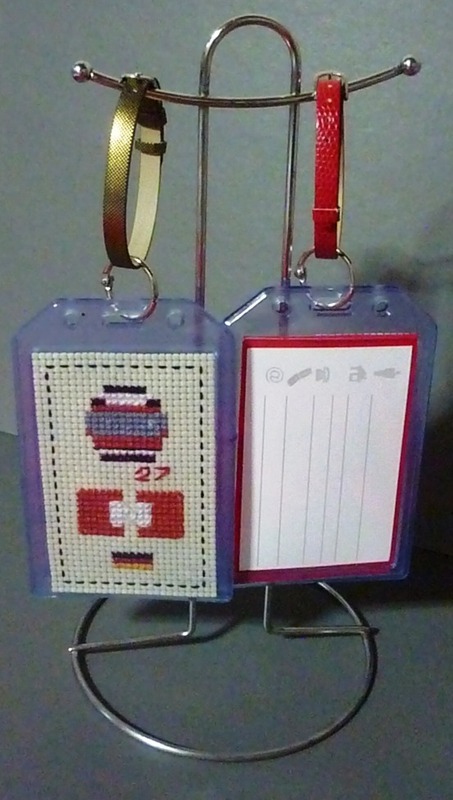 As Keychains: I simply bought soft plastic ID cases, placed the cross-stitch works inside, and then attached a metal binder ring and a black-and-gold (for Hulk’s)/red (for Seb’s) belt-like bracelet. 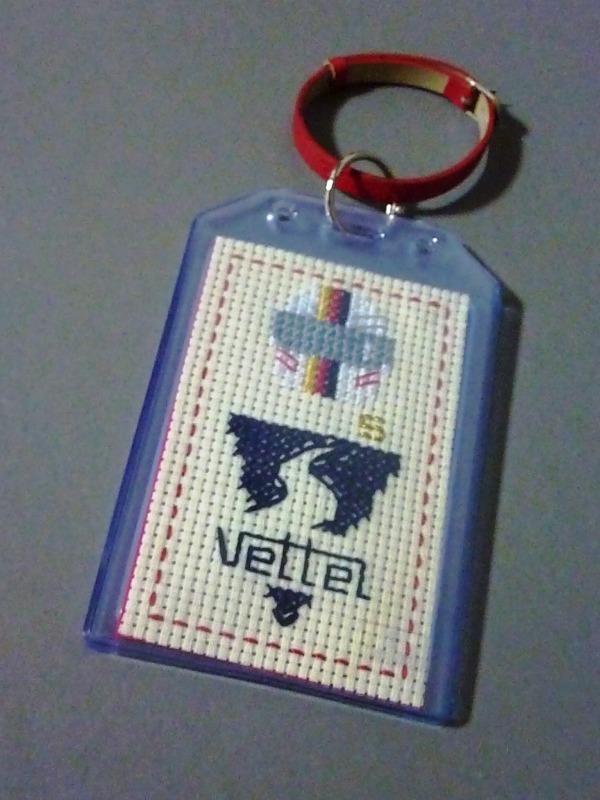 Alternatively, you can also use a ribbon of your choice, a thin rope or a metal carabiner. 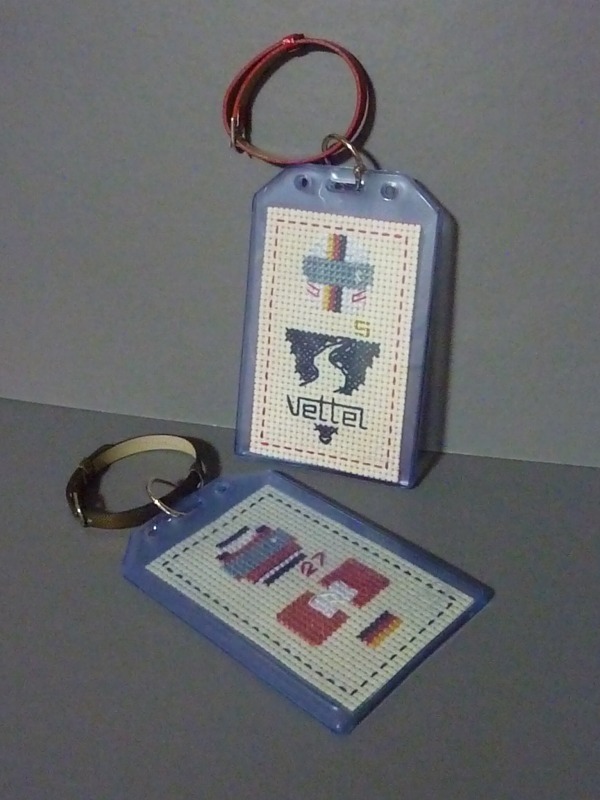 As Bag Tags: Same with the keychains, except I inserted a card at the back where you can write your personal details such as name, address, etc. 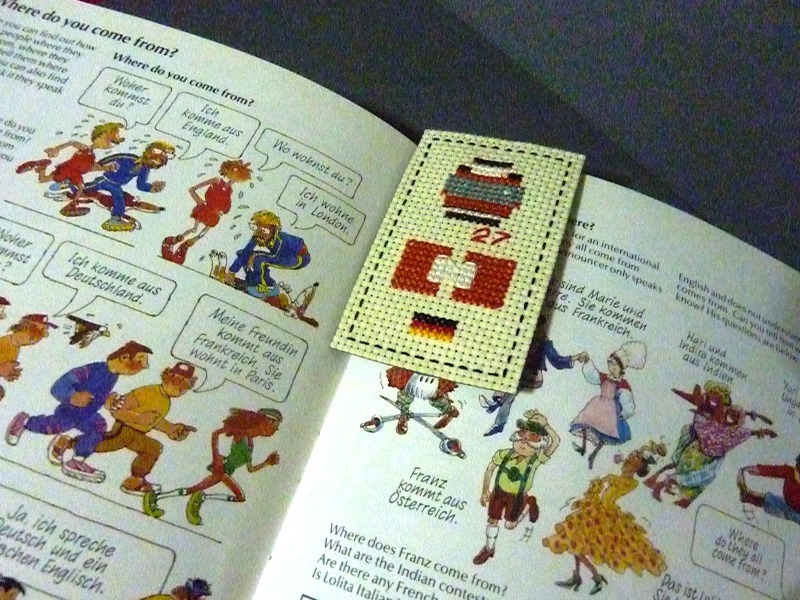 For patterns and the detailed how-to guide on this project, please head over to my other blog, Marjitecture.